In October of 2014, the Warrington Township Water and Sewer Department (WTWSD) had our public wells sampled for Perfluorinated Compounds (PFCs) as part of the Environmental Protection Agency’s (EPA) third Unregulated Contaminant Monitoring Rule (UCMR3). At the time, the established Provisional Health Advisory Levels (PHAL) were 200 parts per trillion (ppt) for PFOS and 400 ppt for PFOA. WTWSD promptly shut down public wells 1, 2 and 6 on October 29, 2014 (the same day we received the sampling results). As a continuation of the EPA’s UCMR3 program, we tested our public wells again in May of 2015. On February 24 and 25 of 2015, WTWSD personnel participated in Open House Meetings held by the Navy at the Horsham Community Center. On May 19, 2016, the EPA released a new combined Health Advisory Level (HAL) for PFOS and PFOA of 70 ppt. WTWSD promptly shut down public wells 3 and 9 that very same day. Although these public wells were considered safe under the PHAL, they at one point exceeded the HAL. On May 24 and 25 of 2016, WTWSD personnel participated in Open House Meetings held by the Navy at the Horsham Community Center. In May of 2016, WTWSD had the public wells tested again. The results from these analyses show that the three public wells that have been online since May 19, 2016 (wells 5, 8 and 11) remain below the HAL. 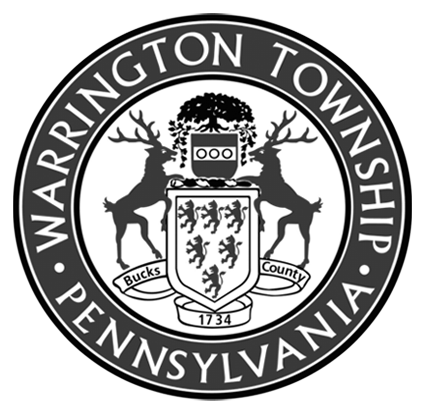 On July 12, 2016, a presentation on Water Quality was made during the regularly scheduled Warrington Township Board of Supervisors meeting. Much of what was discussed involved information available on this web page. A special Water Quality meeting to be held on August 8, 2016 at 7:00 PM in the Central Bucks High School South Auditorium was announced. On August 8, 2016, a informational meeting including a presentation and question and answer session were held at the Central Bucks High School South Auditorium. On August 9, 2016, during a regularly scheduled Board of Supervisors meeting held at the Township building, the Board unanimously adopted a resolution to pursue negotiations with NWWA working towards a full transition over to Forest Park Water Treatment Plant Water. On August 23, 2016, during a regularly scheduled Board of Supervisors meeting held at the Township building, the Board unanimously approved sending a letter to the Air Force, Navy and EPA concerning private well testing and blood testing. An update on Water Contamination was also provided by the Director of Water and Sewer/Assistant to the Manager. Q: Is my public water safe to drink? A: The water in Warrington Township’s public water system is safe according to today’s scientific standards. We continue to comply with the PADEP’s Safe Drinking Water Act as well as EPA regulations including the recently released combined Health Advisory Level (HAL) for PFOA/PFOS. Q: Is my private well water safe to drink? A: The Air National Guard (ANG) and EPA have established an area of responsibility bordered in the south by County Line Road, the east by Valley Road, the north by Street Road and the west by Bradford Avenue. Additionally, properties with private wells within 1/4 of a mile of the Little Neshaminy Creek have been approved for testing by the ANG. The ANG and EPA will test any private wells used as a sole source for drinking purposes within that area of responsibility at no cost to you. You may contact Mr. Keith Freihofer, Environmental Restoration Program Manager for the ANG; 3501 Fetchet Avenue- Shepperd Hall, Joint Base Andrews, MD 20762-5157; at (240) 612-8762 to coordinate your private well test. Q: Where is my water coming from? A: The western district of the Township is served entirely by water purchased from NWWA. All public wells within the eastern district of the Township feed into the distribution system of the eastern district. Therefore all public wells in the eastern district (excluding those that have been shut down) contribute to the water that is delivered to all public water customers within the eastern district. Additional water from NWWA is being purchased to supplement the loss of water from the 5 public wells taken offline as a result of contamination. Q: Am I in the western or eastern district? A: Generally, if your property is located west of Elbow Lane, you are within the western district. Generally, if your property is located east of Elbow Lane, you are within the eastern district. Q: What kind of health effects do these chemicals have? A: We would encourage you to contact the Agency for Toxic Substances and Disease Registry (ATSDR) with any questions concerning health effects of these chemicals. You may visit their website at http://www.atsdr.cdc.gov/ or you may contact them by phone at 800-CDC-INFO (800-232-4643). Please find below a link to a list of EPA Approved Laboratories for the UCMR3. The labs with an “X” under the EPA 537 column are the labs to contact for PFOA/PFOS.